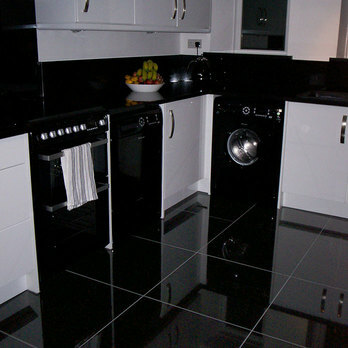 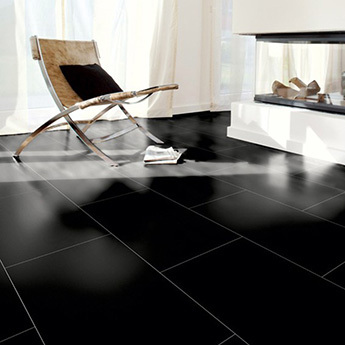 These natural style black porcelain tiles have a distinctive look and timeless character. 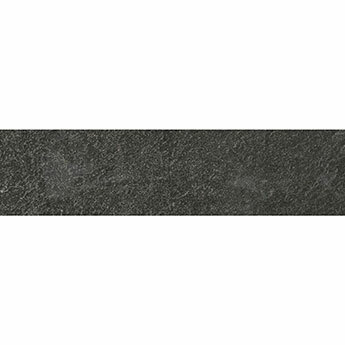 These rectangular plank-like 600x100mm tiles are ideal for feature walls and backsplash designs. 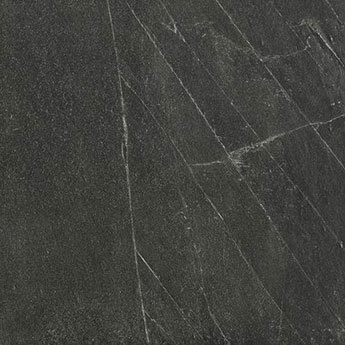 The natural appearance produces a unique charm and helps to transform interior areas. 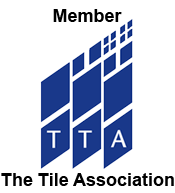 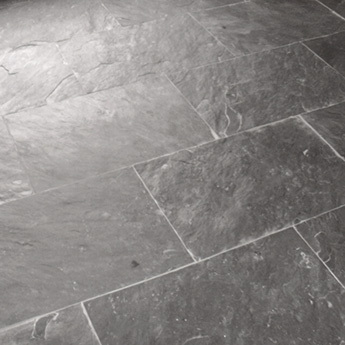 On floors, these tiles not only provide a stylish appearance but are also hardwearing and durable. 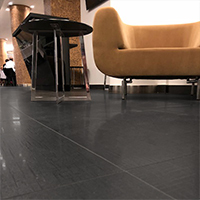 These porcelain tiles can be arranged in a brick effect (running bond) pattern, with a lighter coloured grout often preferred for a trendy contrast. 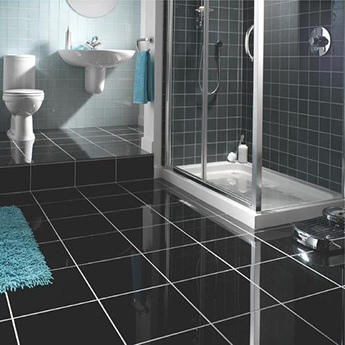 As part of bathroom and kitchen decors, these tiles can be complemented by natural light brown wood features.